Under general supervision, the Criminalist is responsible for performing basic chemical, physical, and optical scientific techniques to locate physical evidence; and to recover, compare, and identify fingerprints left at a crime scene. Assists in the investigation of criminal offenses and death investigations. Evaluates and documents crime scenes utilizing notes, photographs, sketches, and reports. Analyzes and compares fingerprints; enters unidentified latent prints into identification systems to conduct comparisons of latent with known fingerprint impressions; documents comparison results in reports. Performs a variety of complex, independent laboratory tests, analyses, classifications, comparisons, and identifications of all types of physical evidence from crime scenes. Testifies as an expert witness in court cases. Collects fingerprint impressions from juveniles and others as required. Laws and regulations for the collection and analysis of evidence; chain of custody protocols; criminal court proceedings; proper safety and disinfecting procedures to be used at crime scenes; fingerprint collection and comparison methods; basic photography principles. Communicating clearly both verbally and in writing; preparing reports; operating a personal computer; collecting photographic evidence; analyzing crime scenes for pertinent evidence; fingerprinting methods, practices, and procedures; prioritizing assignments. 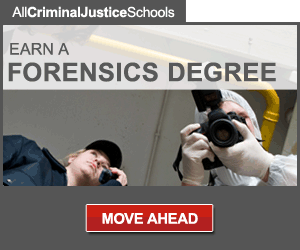 Bachelor’s degree in Criminal Justice, Forensic Science, Chemistry, or related field. 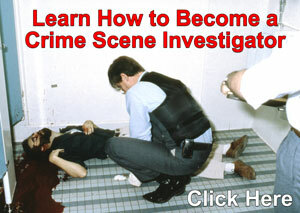 Two (2) years of experience in crime scene investigation and latent print examination. Texas Class C driver’s license. Must possess mobility to work in a standard office and laboratory setting and use standard office equipment, including a computer, and to work in the field including traversing uneven terrain, to operate a motor vehicle, and tools and equipment, and to visit various crime scenes; vision to inspect evidence and to read printed materials and a computer screen; hearing and speech to communicate in person, before groups, and over the telephone. Finger dexterity is needed to access, enter, and retrieve data using a computer keyboard or calculator, to operate standard office equipment, conduct tests and to operate tools and equipment. Positions in this classification bend, stoop, kneel, reach, push, and pull drawers open and closed to retrieve and file information, obtain evidence, and set up equipment. Employees must possess the ability to lift, carry, push, and pull materials and objects weighing 40 pounds, or heavier with the use of proper equipment. Employees partly work in the office and partly in the field and are exposed to cold and hot temperatures, road hazards, dust, toxic waste, chemical, mechanical, and electrical hazards, and hazardous physical substances and fumes. Employees may interact with upset staff and/or public and private representatives and contractors in interpreting and enforcing departmental policies and procedures.